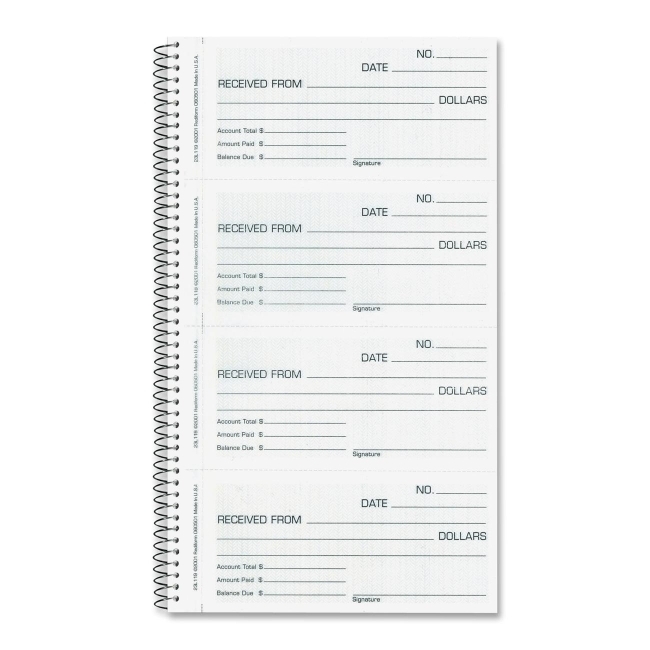 Rent receipt book contains 120 carbonless receipts in triplicate with a safety tint on the original. Each page includes four perforated receipts. 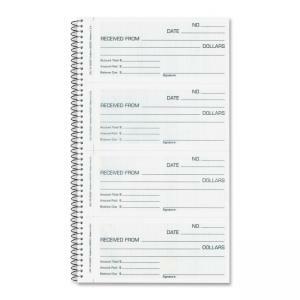 Each 5-1/2" wide x 2-3/4" high rent receipt offers a printed prompt for the date, "received from," amount rec.